Bespoke Service for special requirements and/or reguar colections. We take pride in our family reputation! Valgrove, a family run business with over 30 years experience in the environmental services industry. 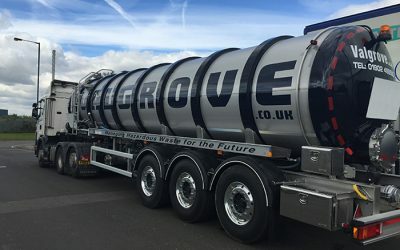 As a leading waste oil disposal company in the UK Valgrove is fully committed to providing professional waste management options including waste oil collection. We are constantly improving our range of services and investing in the latest equipment to help us go the extra mile when it comes to caring for the environment and customer service. Valgrove prides itself on being able to deliver a cost effective solution, however large or small the job. To see our professional qualifications & licenses.